Sandeen said the university is working on “what course offerings will be and where those classes will occur” and referred inquiries to campus director Kim Griffis. “I can’t necessarily commit to that full building but we will have a presence in Chugiak-Eagle River," Sandeen said. Students at Alaska Middle College School will continue to take classes in Anchorage. 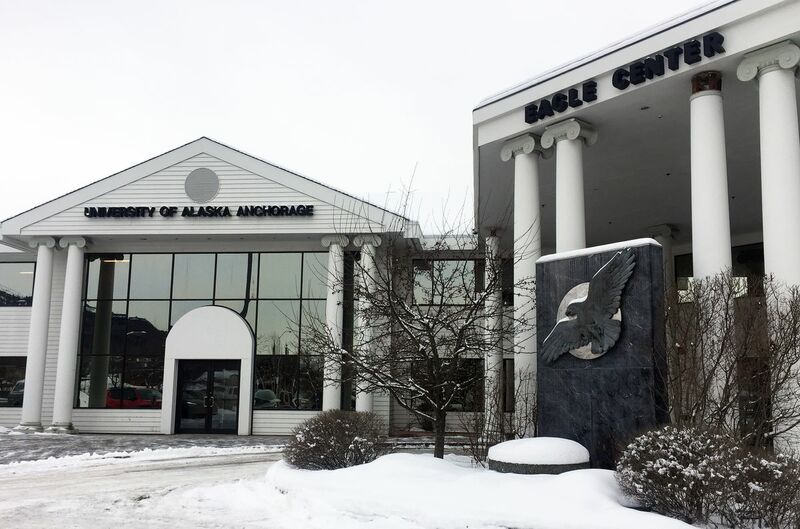 The school — a partnership between UAA and the Anchorage School District that allows high school students to take college courses — is also located in the Eagle Center building, but has been holding classes at UAA in Anchorage since the Eagle Center was damaged in the Nov. 30 earthquake. That will be the case again next year, according to the Anchorage School District. ASD spokeswoman Catherine Esary said the district is committed to working with the university to continue offering the Alaska Middle College program to students next year at the main UAA campus in Anchorage. “We are working in partnership with UAA to continue that presence on the main campus,” said Esary, who added that Alaska Middle College students who live in Chugiak-Eagle River will be bused to Anchorage. UAA classes at the Eagle River campus were moved to Anchorage following the earthquake, though the Eagle River campus has since reopened. Day classes are still being held in Anchorage while evening and weekend classes are being held in Eagle River. “We haven’t identified the specific facilities we are going to be in, but we are working with district officials on those details," she said.